District Tourism Promotion Council Thrissur DTPC conducts daily package tours to explore the district. 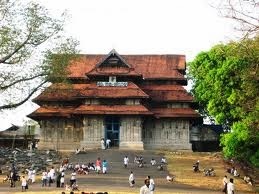 Tour starts from Guruvayoor in the morning to Thriprayar Sree Rama temple, Kodungalloor Temple, Koodal Manikyam Bharata temple, Vadakkumnathan Temple, Velangan Kunnu and returns to Guruvayoor in the evening. Package tour through villages of Thrissur.